Lot 155. 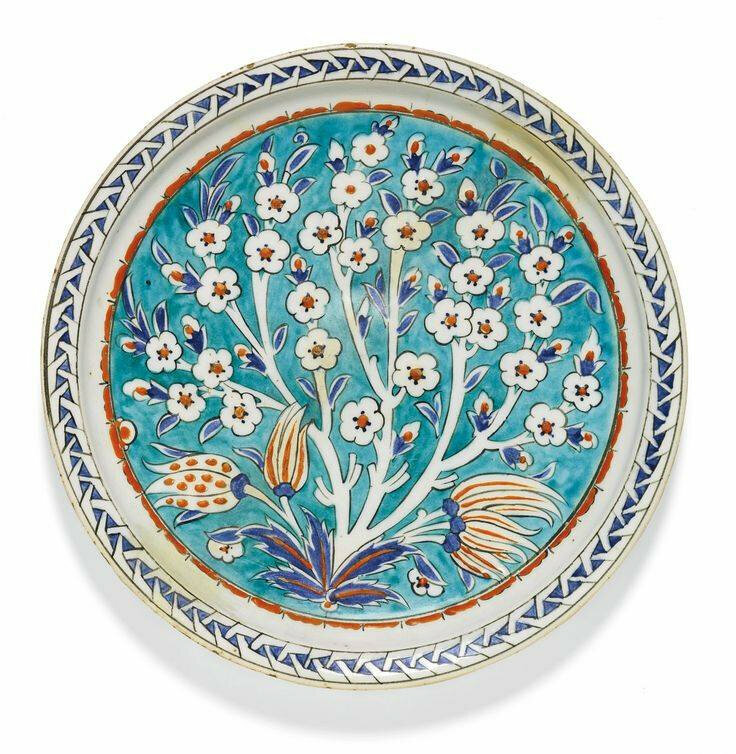 An Iznik polychrome pottery dish with a prunus tree, Turkey, circa 1575-85; 29cm. diam. Estimate 6,000 — 8,000 GBP. Lot Sold 15,000 GBP. 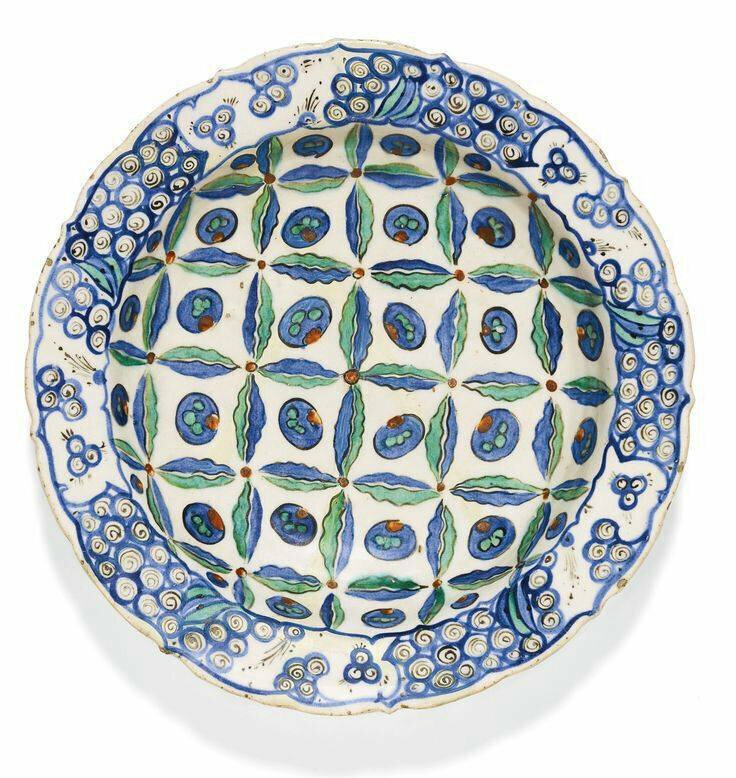 Courtesy Sotheby's 2014.
of shallow round form, decorated in underglaze cobalt blue and relief red with a central prunus tree also issuing tulip buds against a turquoise ground, with an abstract border, the exterior with tulip buds and flowerheads, old collection label to underside. 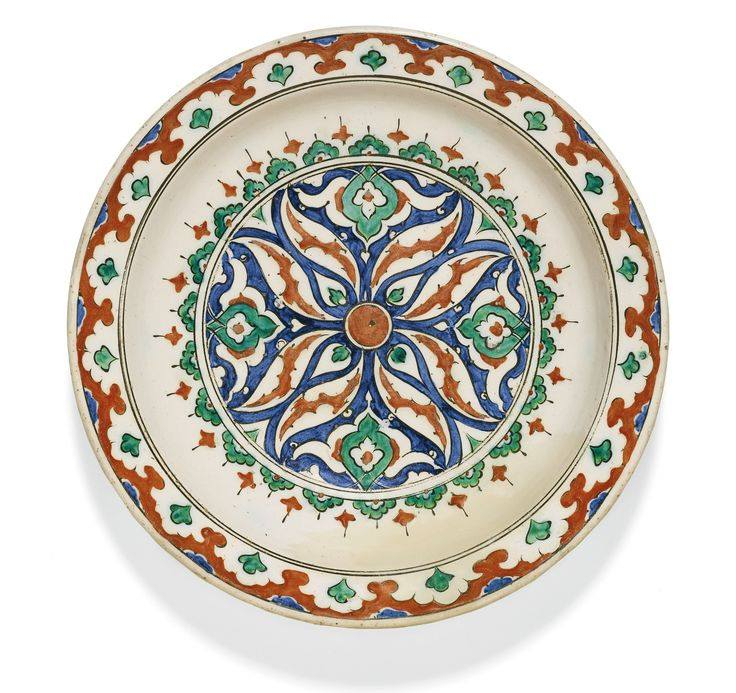 Note: Variations of the prunus tree motif with tulip buds, depicted on backgrounds of different colours and showing the use of stencils on Iznik pottery can be seen in a number of comparable examples now in museums such as the Calouste Gulbenkian Foundation Museum, Lisbon, inv. no. 787 & no.798 and the British Museum, London, inv. no. FB.IS.4 (see Atasoy and Raby 1989, nos. 746, 747, 748).